Home > Personal Property News > Why Hire A USPAP Compliant Appraiser – And What Is USPAP? 08 Jun Why Hire A USPAP Compliant Appraiser – And What Is USPAP? Many times a new client comes to me with little to no experience with an appraiser. One of the first questions I am always asked about is my experience. And while I do have decades in the auction and appraisal industries, I always let potential clients know that besides experience, it is always preferable to use an experienced appraiser that is also USPAP compliant. When a piece of art, an antique or an entire estate is appraised, you want to be certain that the appraiser working on your behalf is committed to continuously building their skills, expertise, and will adhere to a code of ethics and best practices. The International Society of Appraisers (ISA) is the leading professional organization delivering education and training to personal property appraisers. Its mission is to create a higher standard in the industry so that personal property and estate appraisers provide appraisals of the highest quality to their clients. In addition to professional development, the ISA provides education and training regarding the Uniform Standards of Professional Appraisal Practice (USPAP) that all ISA members must be in compliance with as part of their membership requirements in the ISA. What Is The Uniform Standards of Professional Appraisal Practice (USPAP)? 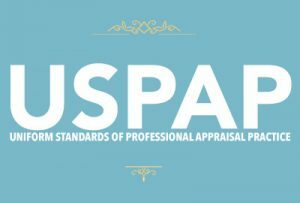 The Uniform Standards of Professional Appraisal Practice (USPAP) is the official guidance document published by the Appraisal Standards Board (ASB) of The Appraisal Foundation (TAF). The USPAP was adopted by the United States Congress in 1989 following the wreckage caused by the savings and loan debacle. The USPAP defines a set of recommended procedures and ethical standards for appraisers. Moreover, to address business and legal changes, the document is updated and reissued every two years with the 2016-2017 editions being the most recent. Every appraiser, to be USPAP compliant, has pledged to follow the regulations outlined in the USPAP in their appraisal reports. What Does It Take to Be USPAP Compliant? All person must complete a fifteen-hour course with a written exam at the end. After successfully passing the exam, appraisers are required take a 7-hour continuing education module every two years to remain in good standing. According to U.S. law, USPAP compliance is required for real estate and home appraisers, but it is voluntary for personal property appraisers, who evaluate items such as antiques and fine arts within a house. Although voluntary for appraisers, all members of the ISA must be USPAP-compliant per membership requirements. Persons seeking an appraisal of their personal property or estate property should always look for an appraiser who is USPAP compliant. Although voluntary, USPAP compliance is an emblem of professionalism and ethical standards. Its goal is to protect users of appraisal services and bolster professionalism in the field.